Hampi is one of my favorite places I like to visit again and again. As a first timer you might wonder what people do here during there long stays when most of the Indian tourists leave the next morning complaining that there was not much to do here. Hampi has something to offer for everyone who visits this place. For people interested in history and culture is the best experience one can have. For photographers this small town is a heaven and for travelers it’s the most amazing place to be. 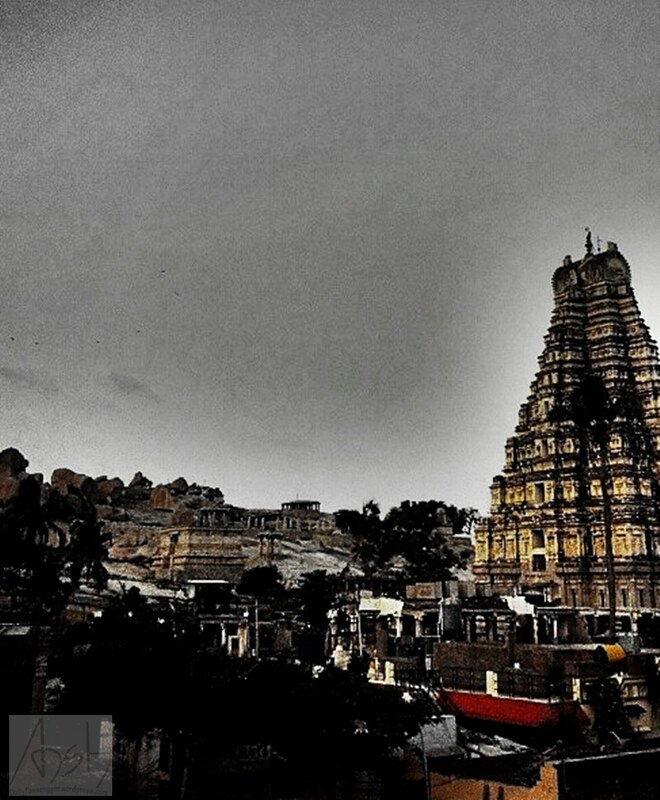 Here is how next time you visit Hampi you can live an experience of a lifetime. Food – Hampi is worth an experience of a lifetime for a foodie. This is few of the places that is visited by travelers from all countries and hence you’ll get cuisines from almost every country. Mexican, Chinese, Italian, you’ll also find cuisine from Nepal and Bhutan in come cafes. There are local hotels where you can get a sumptuous meal just for 30 rs comprising of idils and vadas or a full course meal in 35 rs that comprises of rice, sambar, curd milk and a papad. Adventure activities ­– Hampi is free from agencies that conduct adventure activities in this city but there is still a lot to do. You can try rock climbing and cliff jumping in the river. There are boulders all across the city and you’ll find many adventure enthusiasts with their gears climbing these rocks. 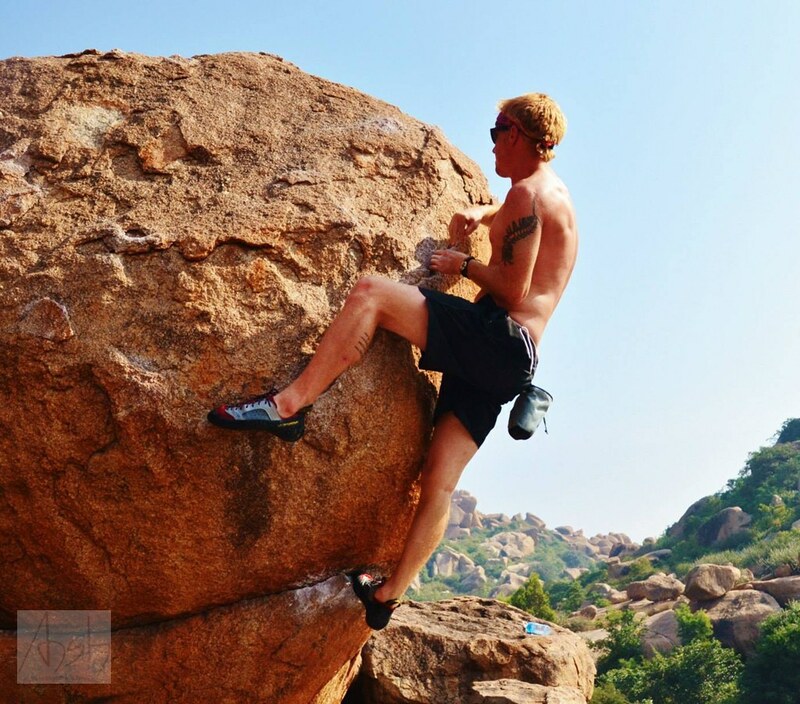 You can get your own rock climbing gear on rent in Bangalore or simple climbing gear for 200 rs in Hampi itself also you make friends with these climbers and you can always go swimming in Tungabhadra River. 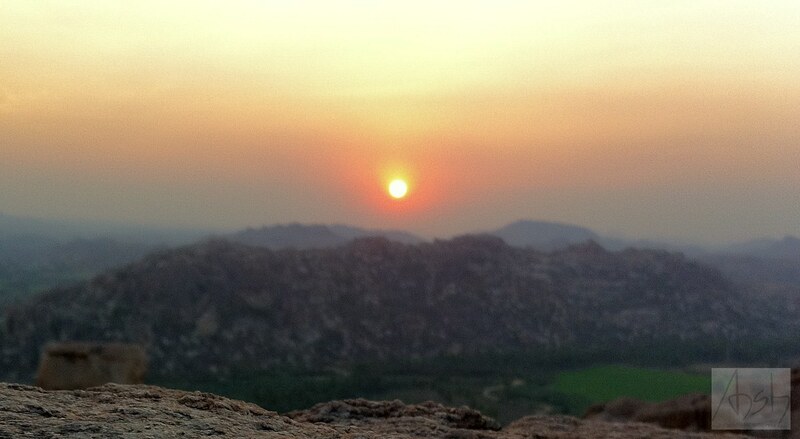 Watch Sunset from Hilltop – Watching the sun go down in Hampi is an experience in itself, most of these hilltops give a bird’s eye view of the Hampi and Hospet and is a treat to be there watching the sun go down. Visit Sandur – Sandur is a Gypsy town near Hampi which is an hour drive from here. The Gypsy women have found a place to settle down and find a job at this place. This place was founded by the king of Sandoor and is now used by these women where their embroidery skills come to use and fetch them a steady income. Visit Dorji Sloth Bear Sanctuary – After short ride away from Hampi is Dorji Sloth Bear Sanctuary. This is a trip worth it mostly because the administration has worked with the locals to make this place a home for these bears. Hampi is a trip worth visiting again and again, even if you just sit around and do nothing Hampi is worth an experience to live for.